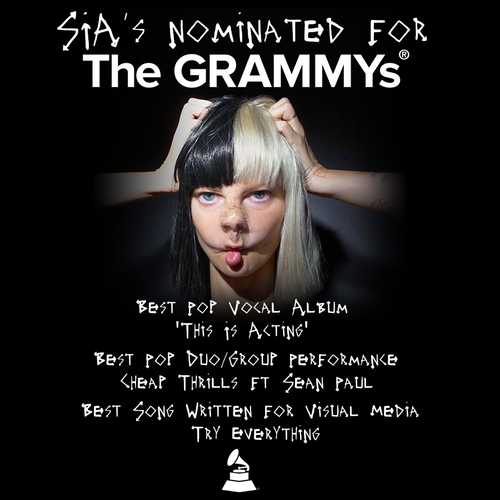 It's a big tahun for Sia at the 2017 GRAMMYs!. She's been nominated for Best Pop Vocal Album ('This Is Acting'), Best Pop Duo/Group Performance ("Cheap Thrills" ft. Sean Paul),. 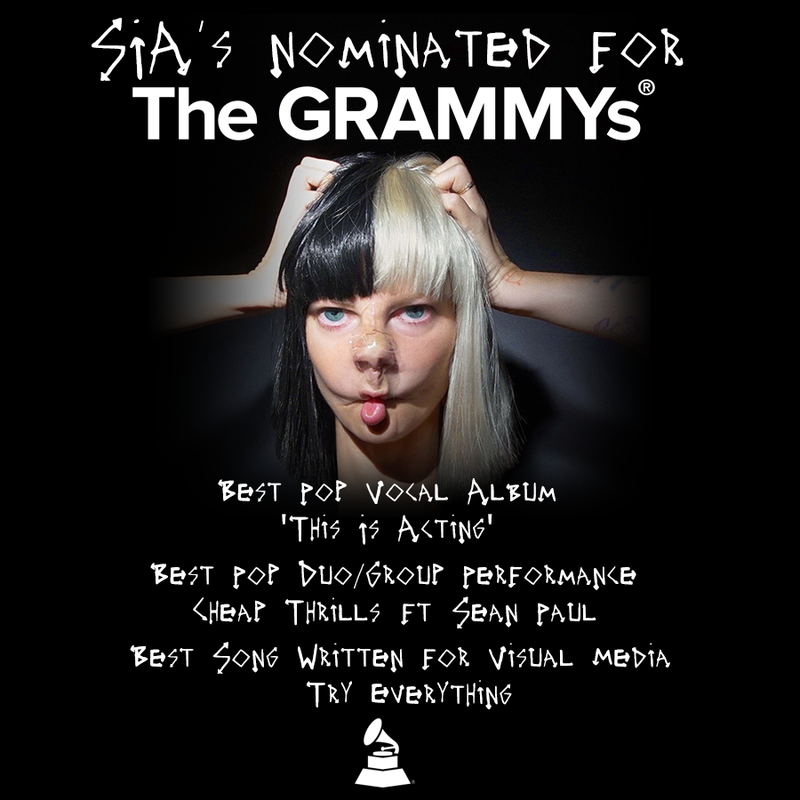 HD Wallpaper and background images in the Sia club tagged: photo sia grammys 2017 nominations.